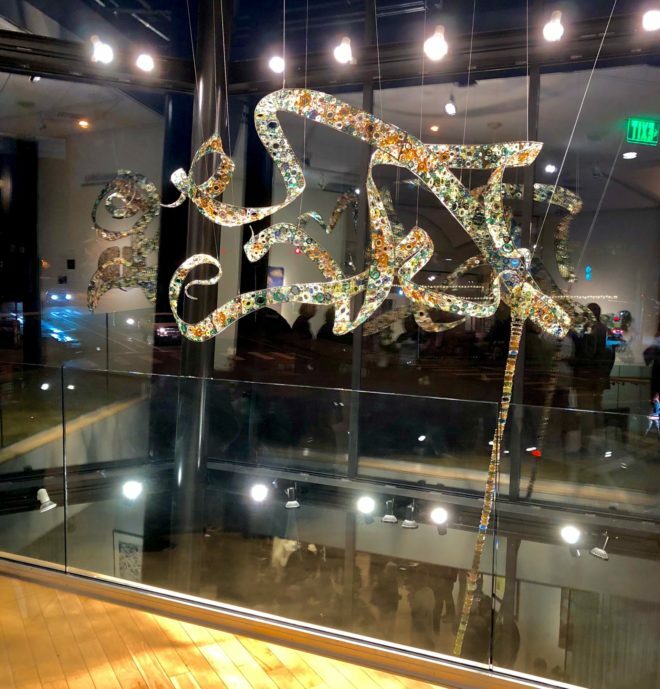 Until February 3, 2019, drivers coming off the Seattle-Bainbridge Island ferry are enjoying a visual feast in the windows of the Bainbridge Island Museum of Art. Every four months the museum has to find an artist who can bring that 15-foot tall, two-story space to life. Kait Rhoads’s Bloom, a sculptural representation of bull kelp, enlivens the entire space – there is no emptiness, only the sculpture and the ocean that you imagine. What else would surround the kelp and keep it insubtle motion? 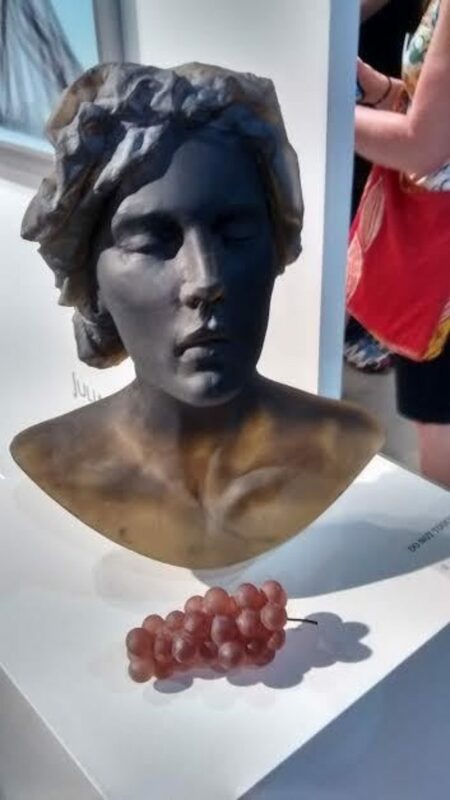 Seattle is basking in its inaugural art fair this weekend, enjoying good press, good crowds, good weather, and an encouraging number of red dots. The glass art shown at the 2015 Seattle Art Fair, which opened on July 30 and ended today, represents a wide range of invention and ideas.